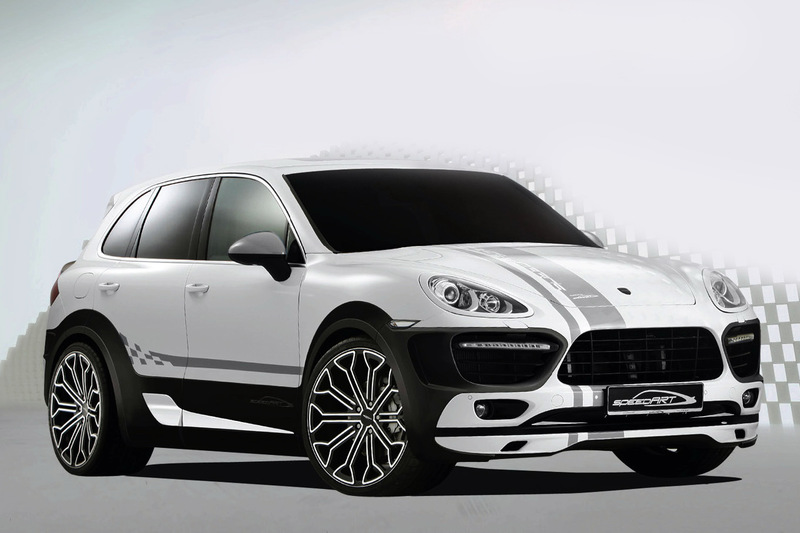 The Germans have done a great job nailing the Porsche Cayenne together, making it the fastest SUV bar none and even selling it. Somehow, despite that, Germans who work for Speedart aren’t impressed. They think the Cayenne should be sold in its true form, ready to show off. Forget fuel economy, forget decent looks, heck forget the word discrete all together and get yourself one of these Porsche Cayennes and tune it up into Titan EVO-XL 600. Heck, the chaps at Speedart are so confident in their work that they plan to fully reveal this monster of a car at the Geneva Motor Show. In reality, not much is new on it, apart from it being a larger bodied version of the already known Titan EVO. Beside the growth in size, the Titan EVO-XL 600 also grew under the bonnet. 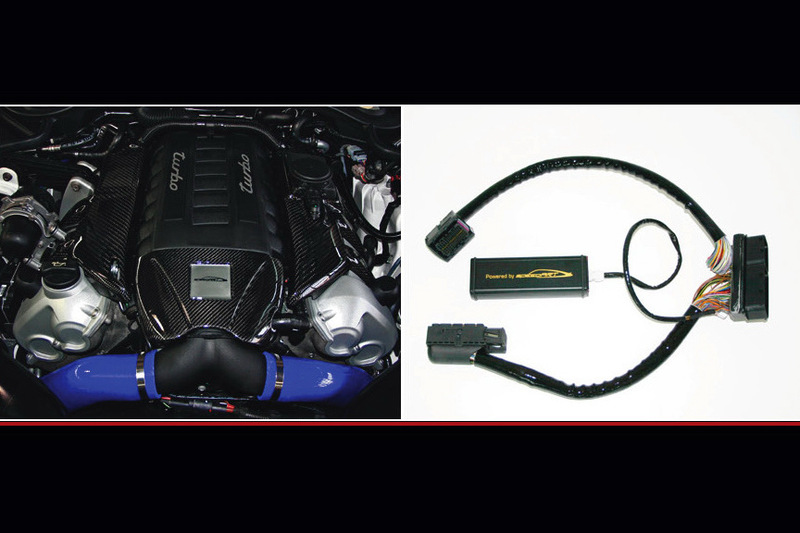 That’s where Speedart managed to mod the living lights out of the 4.8 liter V8 turbo engine up to the point where it develops 600 horsepower and 627 lb-ft of torque. 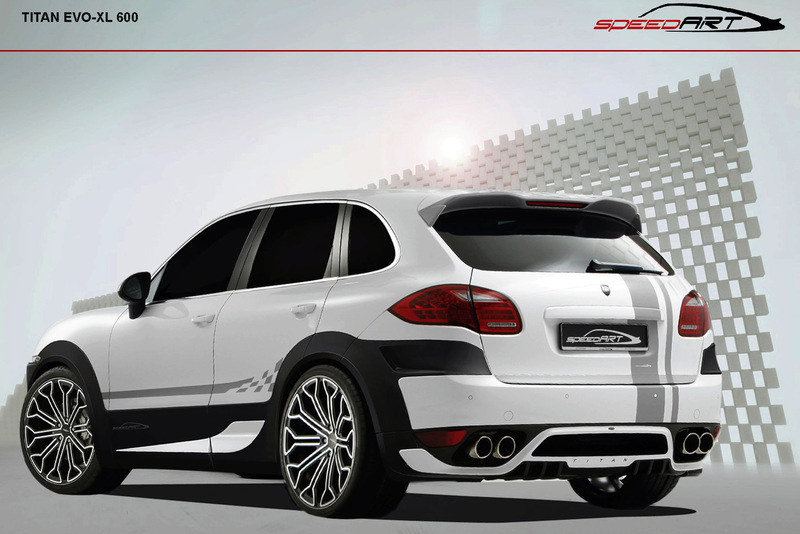 The Porsche Cayenne suspension has also been tweaked to the point where the car is now lower stiffer. All that work however is ruined because Speedart fitted some immense wheels which are 23 inches in diameter. The interior is equally flashy as it features ipods, ipads and exposed carbon fiber but what really amazes me is how Speedart really is going to unveil this tuning kit in Geneva.